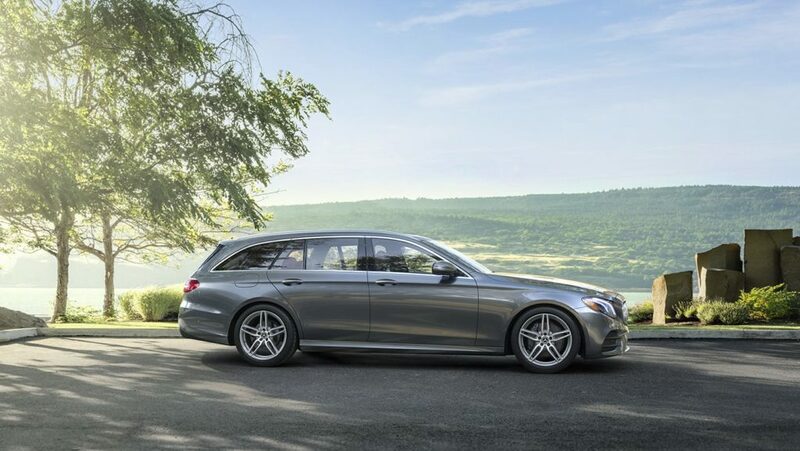 The 2019 Mercedes-Benz E-Class Wagon is our most versatile vehicles, combining function, form and so much more. For generations, no other wagon has been so coveted for its innovation, luxury, safety and style. In many ways, it’s always been a masterpiece of intelligence. The 2019 4MATIC Wagon is simply the most masterful, and beautiful, yet. 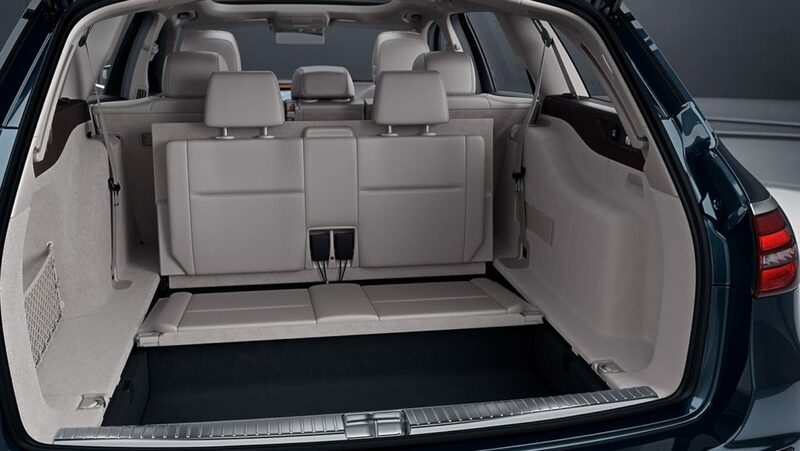 Spacious, meet stylish. Sensible, meet sensuous. The E-Class Wagon cabin is a flowing sculpture where information flows seamlessly as well. From intuitive controls to aromatherapy and a hot stone massage, it’s a sensation for all your senses. 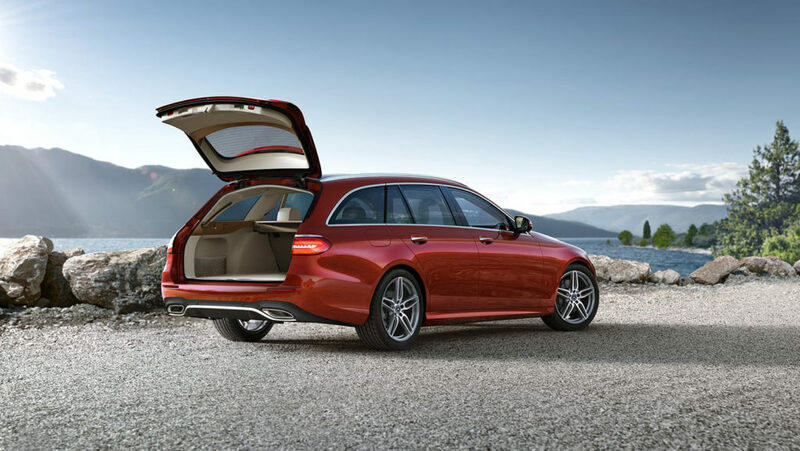 With a 40/20/40 second row and a rear-facing third row, the E-Class Wagon can seat up to seven or carry an abundance of cargo. A parcel net, elastic side strap, vertical net and self-rising cover await you inside its power lift gate. What would you do with your Wagon? A panoramic 12.3-inch screen unites navigation, entertainment and many comfort settings. Animated and intuitive, it lets you personalize your E-Class to suit your needs. An optional second 12.3-inch screen includes a reconfigurable instrument cluster. Finely crafted finishes and sustainable materials surround you. Climate and sound systems immerse you. An E-Class cabin suits your style, and even changes to suit your mood with 64 colors of LED ambient lighting. The E 450’s new 362-hp bi-turbo V6 is more responsive yet responsible. Its advanced 9-speed delivers swift and smooth shifts. And DYNAMIC SELECT lets you fine-tune the drivetrain, chassis and more with the tap of a console button. 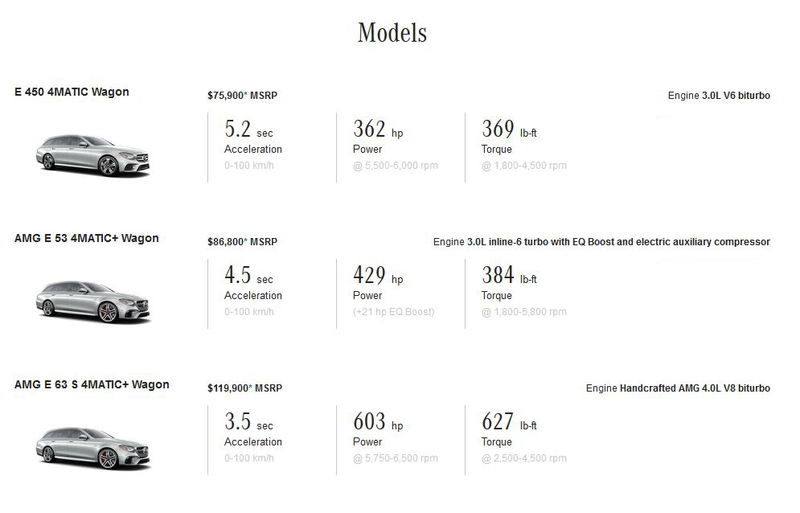 Only one wagon is an E-Class. With increased bi-turbo power, agile all-wheel-drive handling, load leveling and five selectable drive modes, you can enjoy space in the back and sportiness on a back road at the same time.